If your business has problems, we call them opportunities. And when you’re looking for answers, we refer to them as solutions. Whether you’re looking to send mailers to clients, put together a polished and unique piece, or create an effective personalized marketing campaign we are here to offer a lending hand to your business. It’s like a strong friendship, without the dorky bracelets or BFF picture frames. You have the vision, we have the experience. See your idea brought to life by our graphic design team. We’ll track the results of your campaign and give you something to be happy about: a solid ROI. We do it fast and we do it right. And lucky for you, we do all kinds. Build up your brand with promotional products for employees and consumers. The essentials you need, the style you crave. Your perfect website is waiting. Postal regulations have you puzzled? We can help handle the process—start to finish, rain or shine. Deliver a message your audience won’t return to sender with a direct mail appeal. Ready to stand out among the crowd? We’ve got the experience to help even a newbie become a trade show pro. This time, it’s personal. 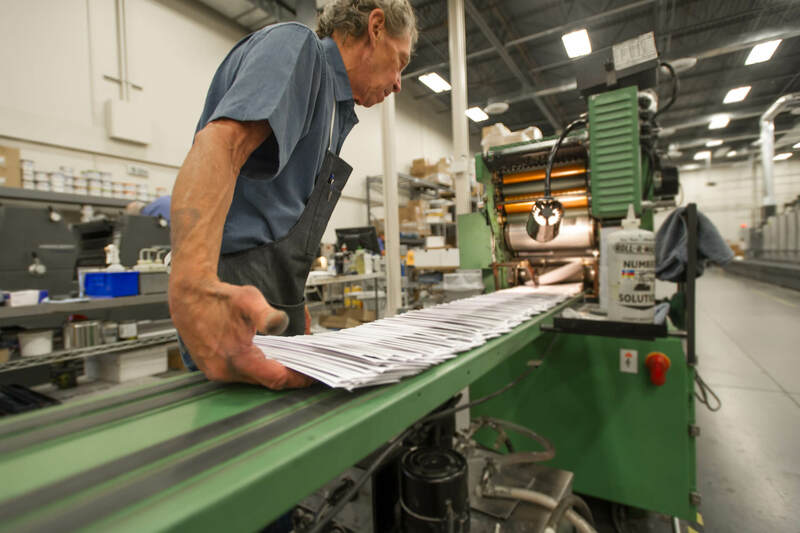 Learn how variable data printing can help you speak directly to your audience. If you are a registered user, you may access certain information associated with your Account by logging into our Services or emailing privacy@firespring.com. If you terminate your Account, any public activity on your Account prior to deletion may remain stored on our servers and may remain accessible to the public. To protect you, we may take reasonable steps to verify your identity before updating or removing information. The information you provide us may be archived or stored periodically by us according to backup processes conducted in the ordinary course of business for disaster recovery purposes. Your ability to access and correct your information may be temporarily limited where access and correction could: inhibit Firespring's ability to comply with a legal obligation; inhibit Firespring's ability to investigate, make or defend legal claims; result in disclosure of personal information about a third party; or result in breach of a contract or disclosure of trade secrets or other proprietary business information belonging to Firespring or a third party. IF YOU HAVE ANY QUESTIONS OR CONCERNS RELATED TO THIS POLICY PLEASE CONTACT US AT privacy@firespring.com.